In 1953, Tektronix Corporation, the market leader in oscilloscopes, decided to establish its own sales force and stop selling through independent manufacturer's representative companies (like Neely Enterprises, which sold HP instruments in the western US on behalf of Hewlett Packard). Oscilloscopes were big business for Neely, and Norm Neely convinced Bill and Dave that HP should enter the market. HP established its oscilloscope division in Palo Alto shortly thereafter and shipped its first models in 1956 (the 130A and 150A). 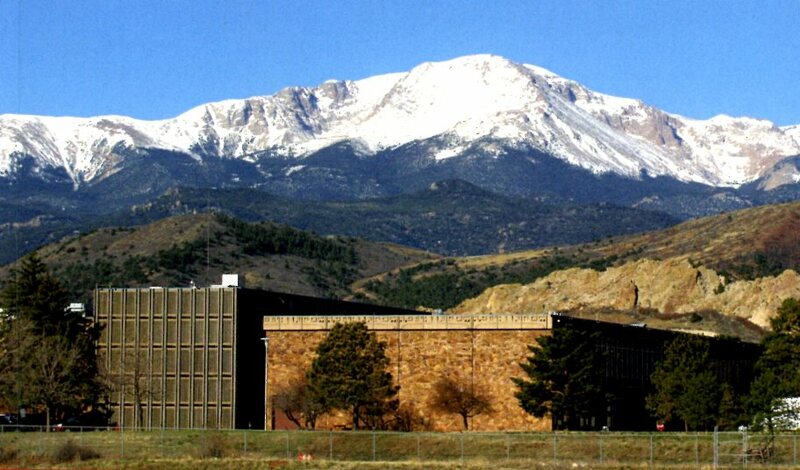 In 1961, HP decided to move the oscilloscope division to Colorado Springs. In early 1962, HP started a pilot operation in a leased 20,000 square foot facility at 637 Winters Drive, headed by George Fredrick. The facility was a manufacturing operation only and shipped its first product on March 31, 1962 (120B). In 1963, HP leased two additional 5000 square foot buildings a few blocks away at 3405 and 3407 North El Paso Street (the "Reynolds" buildings). By the end of 1963, HP had 134 employees working in Colorado Springs. Later that same year, HP broke ground on its permanent Colorado Springs facility on Garden of the Gods Road. The new 138,000 square foot building (Building A) was commissioned in October of 1964. HP shipped $1,380,364 from Colorado Springs in 1963 and made a profit of $5,000. In May of 1964, HP's oscilloscope division was completely moved to Colorado Springs and Cort Van Rensselaer formally became the first general manager of the new Colorado Springs Division (COL). HP employed 350 people in Colorado Springs when the division's permanent building was opened. Stan Selby replaced Van Rensselaer as GM in 1965. By early 1966, employment had grown to 700 staff. In 1967, Bill Terry became the general manager of the Colorado Springs Division. That same year, HP completed the 140,000 square foot "Building B" at the Garden of the Gods location. Hal Edmondson replace Terry as GM in January of 1971 when Tery was sent back to the Bay Area to run the new Data Products Group. HP employment in Colorado Springs spiked to 2000 people in 1973 before declining slightly over the next few years. The upper floor of the partially completed, 245,000 square foot "Building C" was opened in 1974. Completion of the building was delayed due to the business slowdown at the time. In 1973, COL has oscilloscope sales of $30M and CRT sales of $4M. John Riggen became the GM of COL in 1977. Being in the oscilloscope business, the Colorado Springs Division developed considerable expertise in CRT displays. HP CRT production moved from California to Colorado Springs in 1964. CRTs were the first products made by the division that were used with HP computers. The earliest of these displays was the 1300A 12-inch monitor introduced in 1967. Much bigger sellers were the 1310A and 1311A (1971). In 1977, the division introduced the 1350A graphics translator. The 1350A converted vector commands from HP computers (usually the 9825) for output to large-format analog CRTs. CRT production peaked in the late 1970s at 3600 units per month. In 1979, COL's CRT sales exceeded $20M, while total division revenue was $96M. The division introduced another interesting computer peripheral in 1985. The 7510A was a color, vector-based film recorder which was marketed by the San Diego Division. The 7510A was a market failure because it was too expensive and had several technical problems. CRT revenues declined to $7M in 1986. The CRT business was discontinued in 1990. In May of 1979, (that great HP historian and maverick of company lore) Chuck House was appointed manager of the new Logic Systems Operation in Colorado Springs. The Logic Systems Operation developed the 64000 series of logic development systems, introducing the original 64000 in 1979. In 1982, the Logic Systems Operation was promoted to division status (LSD) and Dave Dayton became its first general manager. Logic Systems was a large, high-growth business for HP. Revenue jumped from $23M in 1978 to $86M in 1982. The business peaked at $107M in 1984, more than two and a half times the size of the oscilloscope business. In 1980, HP began to relocate its Delcon Division from Mountain View California to Colorado Springs. The move was completed in 1981 and Alan Steiner became the first general manager of the Colorado Telecommunications Division (CTD). During the 1980s, CTD developed a number of portable protocol analyzers beginning with the 4953A in 1984. CTD revenue in 1984 was $43M, growing to $49M in 1986. Tom Vos became the GM of COL in 1983. HP employment in Colorado Springs peaked at 2700 people in 1984 across the three divisions (COL, LSD, CTD). However, slowing business and the stock market crash of 1987 contributed to a decline in employment to 1400 by 1991. That year, the Colorado Springs Division was combined with the Logic Systems Division under general manager Tom Saponas. The new entity retained the name of the Colorado Springs Division. In 1990, Jim Olson became the general manager of CTD. HP's revenues from Colorado Springs in 1990 were $81M for oscilloscopes, $140M for logic analyzers, and $50M for Logic Systems. CTD introduced the Network Advisor in 1991. CTD was renamed the Network Test Division (NTD) in 1992, shortly after Bill Tomeo took over as GM. During the 1990s, HP employment in Colorado Springs recovered somewhat (to 1800 people in 1999) despite the outsourcing of many manufacturing functions. Rick Pearson became the GM of NTD in 1996. Pat Byrne became the GM of COL in 1997. All HP activities in Colorado Springs went to Agilent when the companies split in 1999. The book "How it All Began......Again" by Bailey et al provides a detailed history of HP's Colorado Springs Division, from which most of the content of this profile was derived.